HD4000 was actually two people: Odeed and Wish. After producing breaks together under various aliases since 2003, they discovered dubstep one evening in San Francisco. They were impressed by what they heard, so they decided to make their first song as HD4000, “Guess Who”. They received a lot of good feedback and by 2008, they had produced enough songs to compile HD4000’s first album, Nu-Step, which to their surprise became the #1 downloaded dubstep album on Juno. 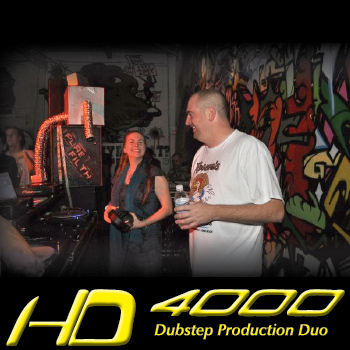 For several years they continued making dubstep which they would debut on their successful weekly show on dubstep.fm. However, they ceased making music together in 2015. Click on the words in the rows below to view more information about that release. Click on the words in the rows above to see more information for that release.